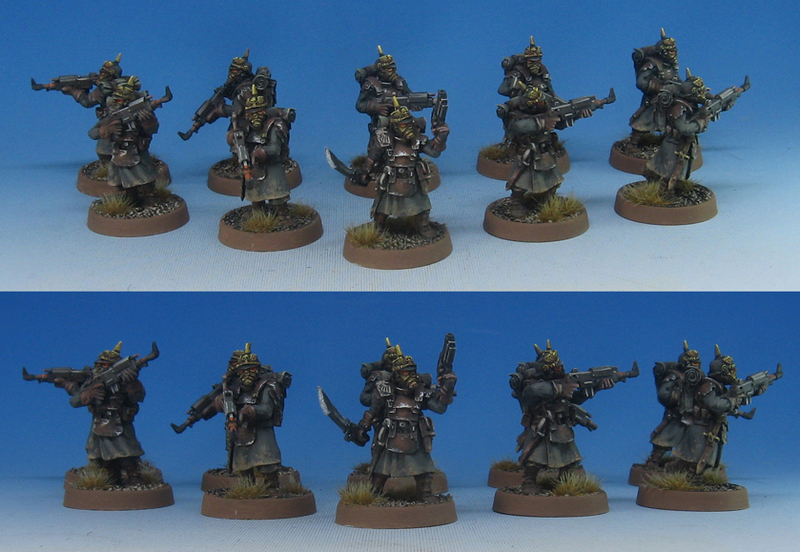 I don't do dark color schemes very often, and I paint heavily weathered dark color schemes even less! 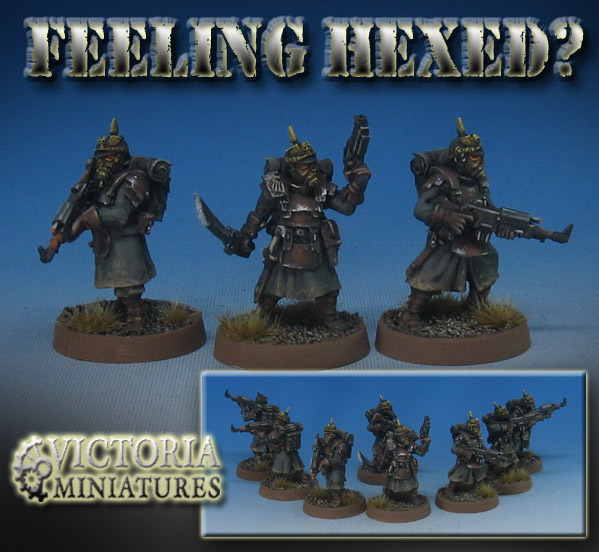 This is one of those rare times, and it is for the Hexenheim Stormtroopers made by Victoria Miniatures. It can be challenging enough to keep a "compressed" color scheme interesting, but when it is this dark you have to find those variations wherever possible. That might mean putting a touch of dark green in the shadows of something which seems reddish, or putting some blueish tints in coats that are supposed to be a warm gray. That can be even more important when you are going to add weathering effects like mud spatter. 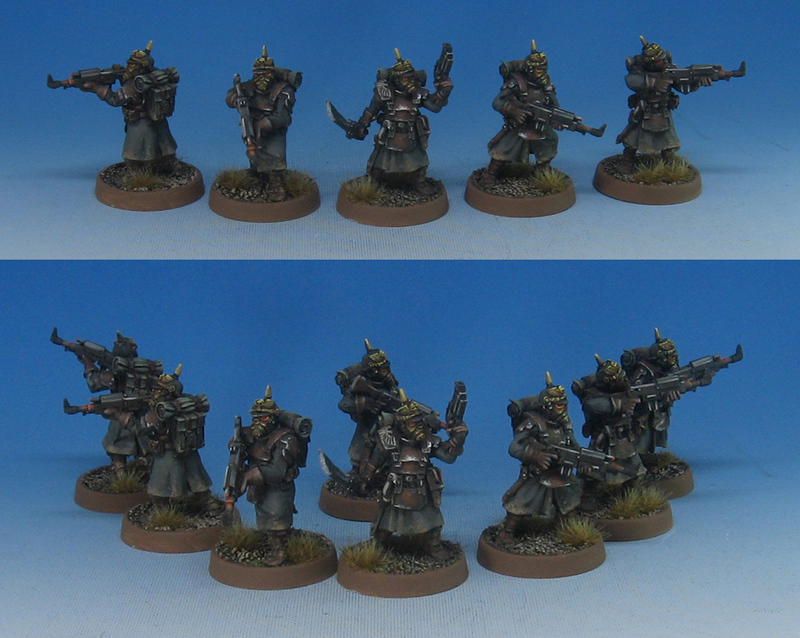 On these figures, the mud spatter had to be a warm tan color, so the coats had to be a 'neutral' tone. Ideally that would be slightly cooler, because the warm mud tones would contrast with that a little more. Of course, having very bright and saturated elements like the glowing eye pieces and the targeting lights help to make a good place for the eye to focus on. Normally I work in much brighter and saturated color ranges. However, it is possible to get far more color into a so called limited palette.